Enjoy your free 3 day gym pass for Anytime Fitness. 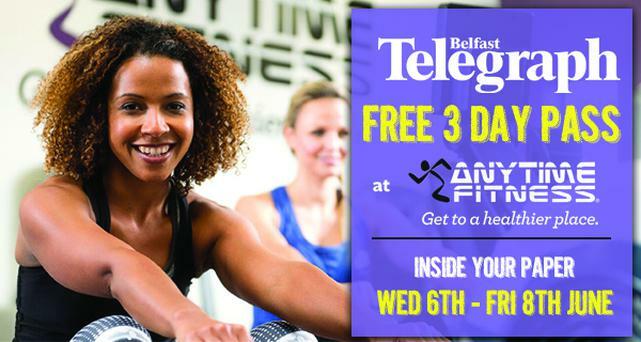 Having opened earlier this year, Anytime Fitness Belfast (27-45 Great Victoria Street) offers 24-hour access, 7 days a week, 365 days a year. This premium club includes state-of-the-art equipment, private changing rooms and showers, personal training and group fitness classes, as well as a supportive and welcoming environment for people of all fitness abilities. Membership also provides 24/7 access to any of the 4,000+ Anytime Fitness clubs worldwide. Terms and conditions apply. See voucher for details.